We produce the high-quality TEAL PowerRAX™ PCDU that provides and distributes AC voltage in test racks specifically for use in demanding aerospace, defense (A&D), medical and semiconductor applications. The PowerRAX™ affords a single supplier for a Commercial Off The Shelf (COTS) cabinet solution, which eliminates the need to research and specify multiple parts from various suppliers. This allows A&D engineers to configure the cabinet for their site based on their unique specifications. TEAL’s engineering team then assembles pre-wires and tests a PowerRAX™ system, and it arrives complete with all of the required documentation saving customers time and money. The PowerRAX is completely customizable to suit your specific needs. 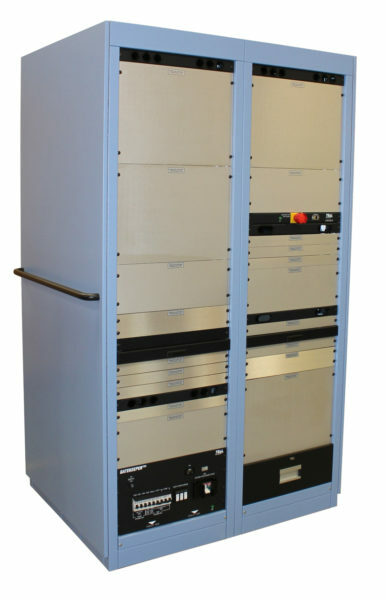 Customers can choose to include the Gatekeeper Power Conditioning and Distribution Unit (ranging from 3.5kVA 1-Phase to 30kVA 3-Phase models), and TEALTran™ Isolation Transformers. All PowerRAX systems can be modified to provide custom interfaces for both input and output. Customers can also configure shelve, drawer, and standard power distribution options. They come complete painted blue (but can be customized for your color preference), perforated side panels, casters and levelers, control panel and an adaptable platform. 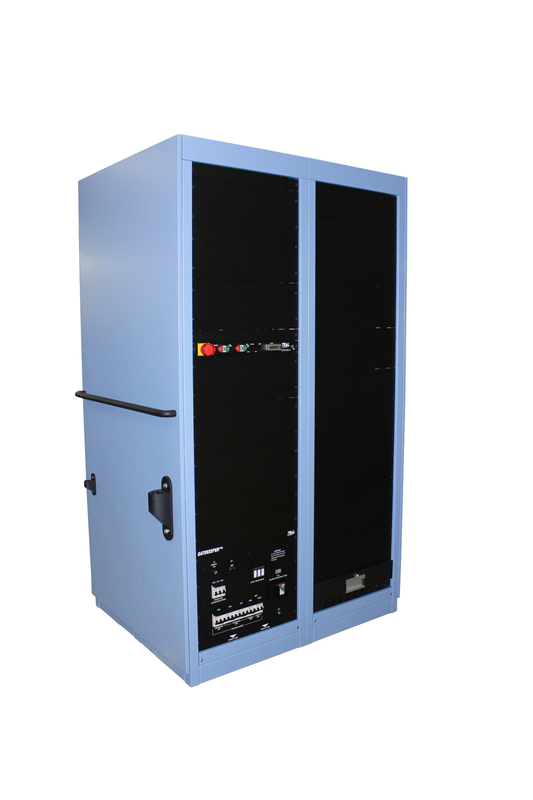 New Product Offering: Combines racks, cabinets, power conditioning, control and distribution, tested and properly documented ready to ship in rugged re-usable shipping crates. Adaptable Platform: Includes selectable power conditioning, features and distribution for almost anyapplication, ATE, Imaging Systems, Process Control, R&D. Resource Multiplier: Reduces development workload by providing a turn-key product. Simplified Installation: No need for special power feeds or high impedance grey box transformers, TEAL’s PCDRs can be tapped for almost any voltage world-wide, minimizing facility preparation and planning needs.